Specializing in Process Flow,jacketed valves valve jackets, jacketed pipe, flex hose. 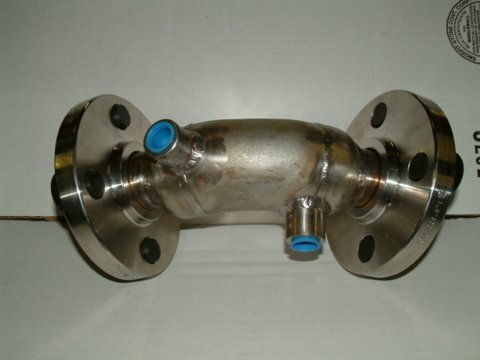 Jacketed pipe consists of a core pipe for conveying viscous fluids, with an outer jacket pipe. 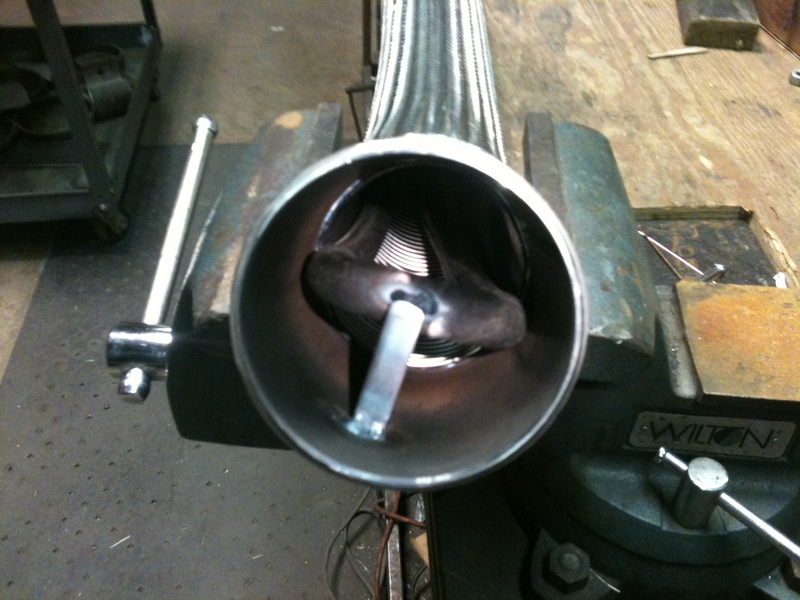 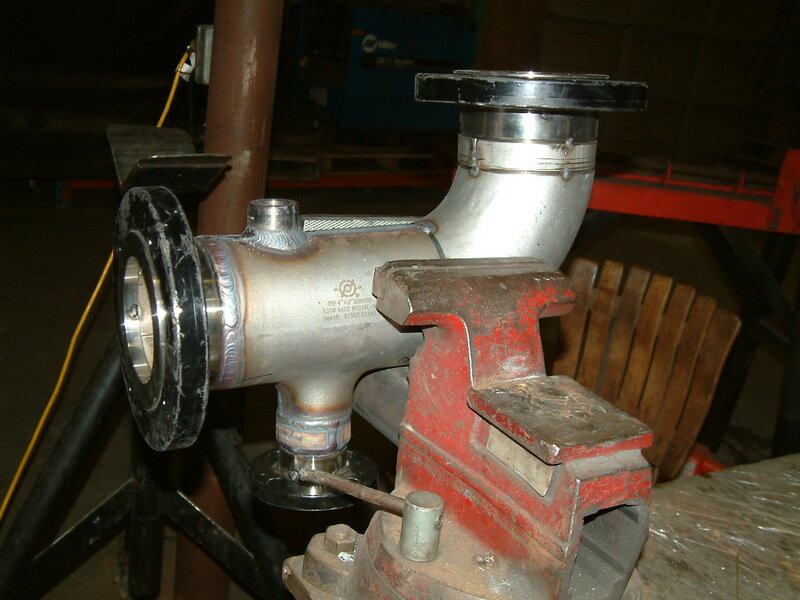 The annular chamber between the two pipes is used to heat the inner pipe with steam or hot oil. 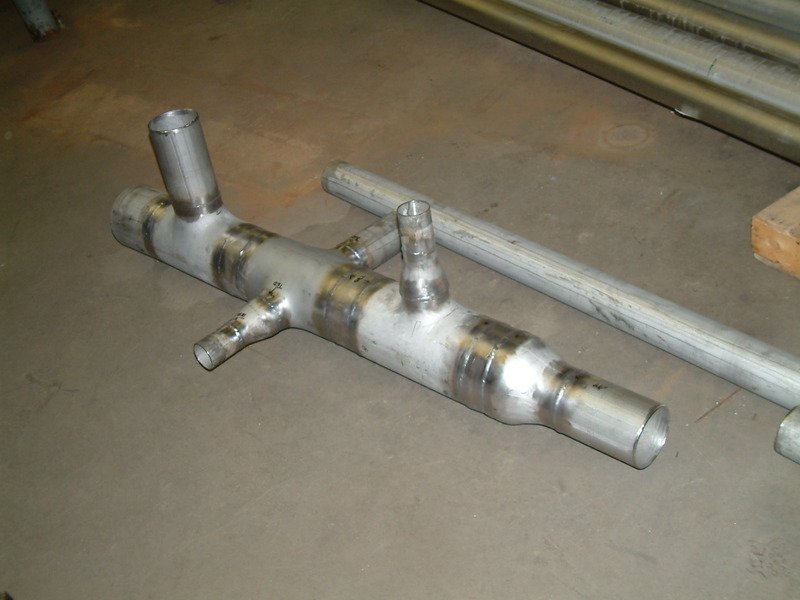 Materials used for fabrication include carbon steel, stainless steel, and carbon steel jacket with stainless steel core pipe. More exotic alloys are available too. 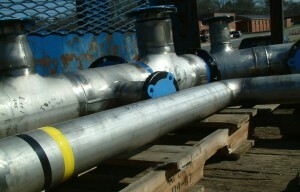 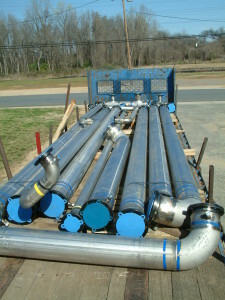 Various construction types include oversized flanges, insert flanges, line size flanges, pipe welded to back of flanges, swaged jacket (utilizing weld caps at each end of the outer pipe). 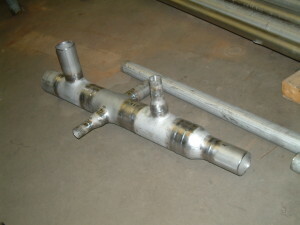 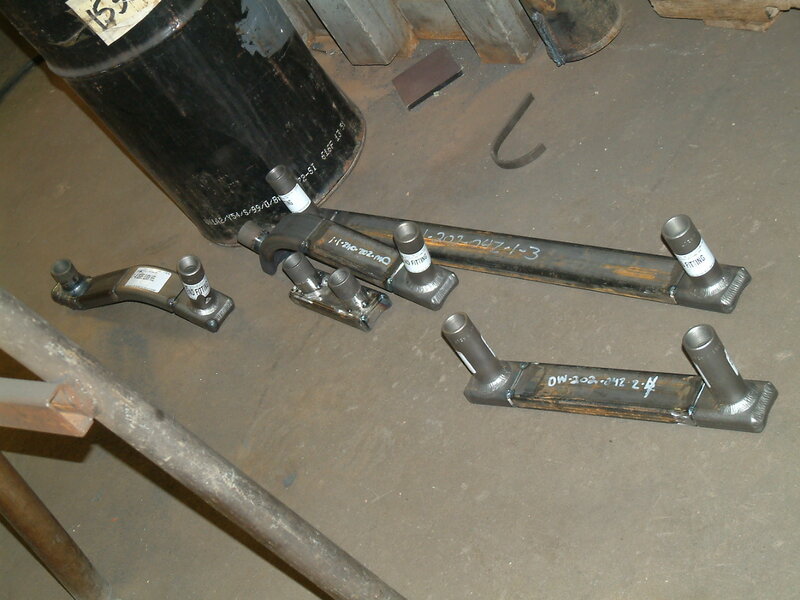 Connections for conveying heating media to the jacket chamber include female NPT half couplings, threadolets, socket weld couplings, tube connectors, and flanges. 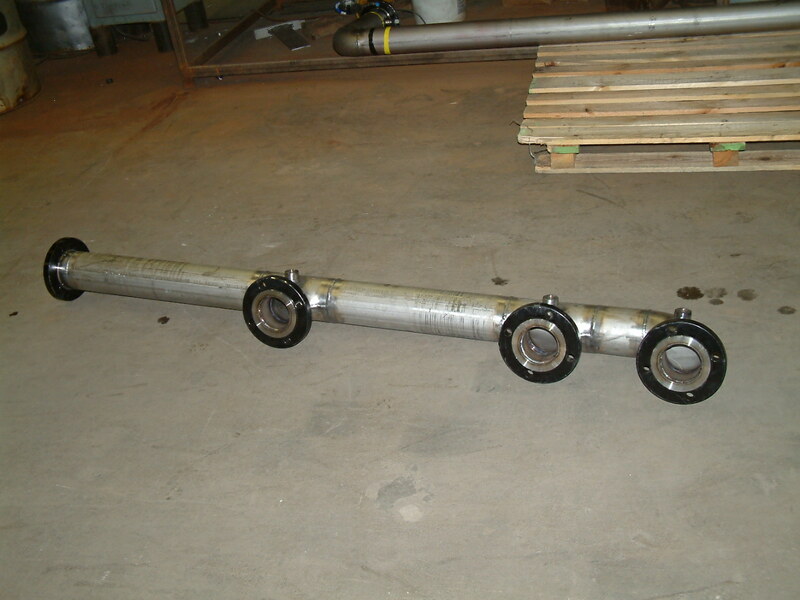 The connections can be extended to allow for insulation. 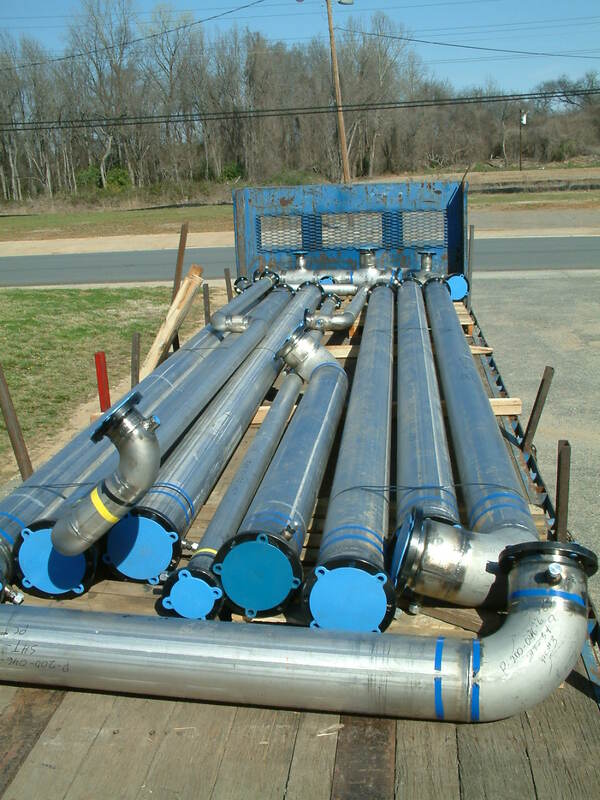 We can manufacture one pipe spool per your specifications and P & ID’s, or an entire jacketed system including jacketed pipe, fittings (ells, tees, etc. ), valves, hose, and other components. 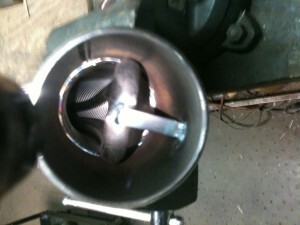 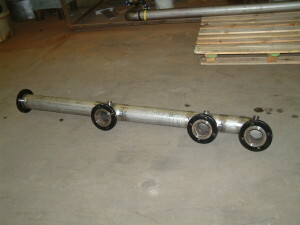 Fittings can be incorporated into pipe spools. 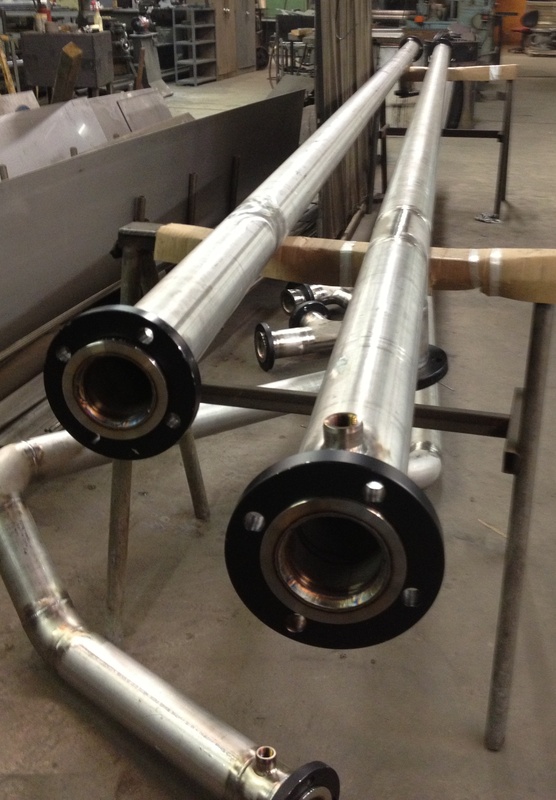 Please allow us to offer you a quotation from your specifications and drawings to suit your particular needs. 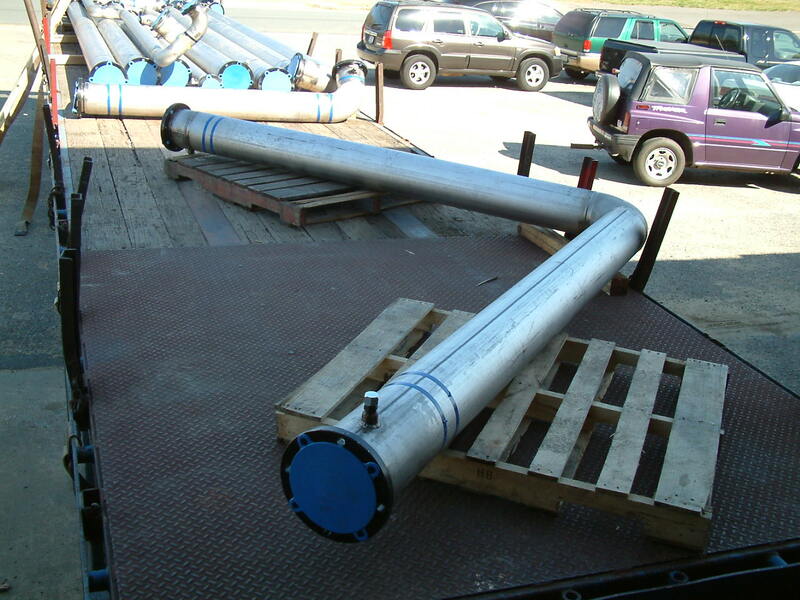 Assistance in the design of your jacketed requirements is always available.